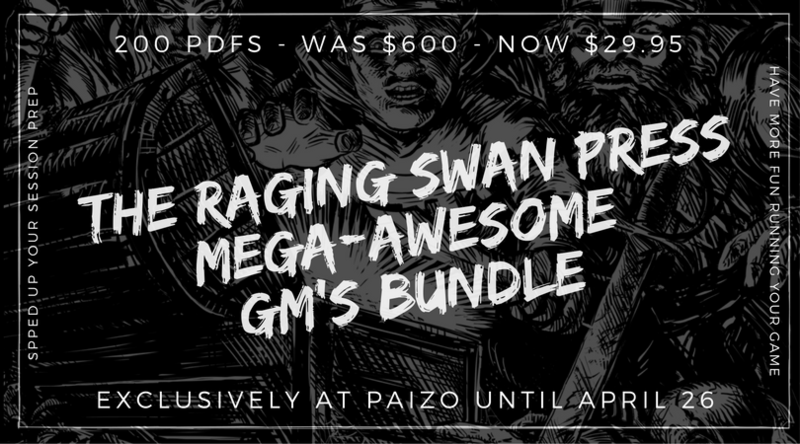 The Raging Swan Press Mega-Awesome GM’s Bundle is Back! Make your game more awesome, get it today! I missed out on it the first round. I bought it yesterday and am looking forward to implementing it in my campaign. Thank you, Bruce. I hope you find all the books therein tremendously useful and enjoyable!